The single transducer type comprises two moulded housings, which are hinged in front of the throat. The leather microphone pads align to the contours of the throat for maximum comfort in use. 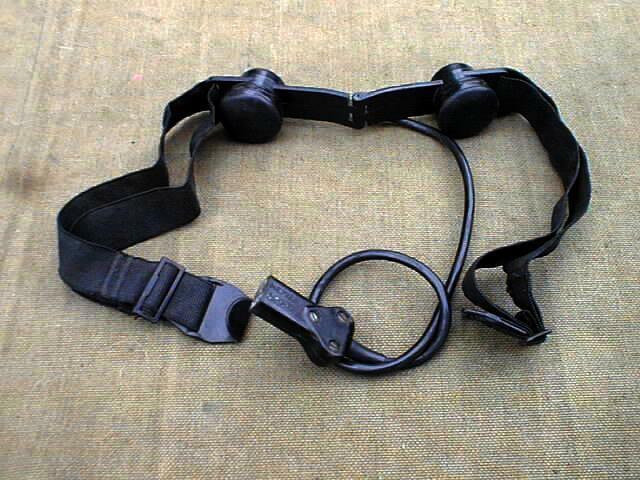 This assembly is attached to an elastic neck strap incorporating a safety release feature. Although twin housings are mounted on the neckband, only one is fitted with a microphone transducer, the other being a dummy unit. The transducer is a high quality moving iron magnetic type. Specifications: Transducer type: moving iron. Sensitivity (into 150 ohms load): -51dB nominal re 1V for normal speech. Impedance: 155 ohms ?20% at 800Hz. Frequency response: rising to approx. 2.5kHz for higher intelligibility. Noise exclusion: a white noise sound field of 120dB produces an electrical output 6dB less than the speech output quoted. The RA-440 Throat Microphone Element is a comfortable, ruggedized, tropicalized and lightweight microphone is perfect for many tactical applications. The Throat Microphone element is sensitive enough to pick up even a whisper and will provide you with clear and consistent communications. Typical applications include armoured vehicles, helicopters or fixed wing aircraft, naval vessels, ground.The Tactical Throat Microphone comfortably fits around your neck and has an adjustable elastic straps which are fastened with a hook and bar. In use, housings for the microphone elements are located each side of the throat. Soft leather microphone pads are provided giving low contact pressure. As a result wearer comfort is maintained during long periods of use.